Fatigue has been demonstrated to impair worker abilities in a similar manner to alcohol, and a worker awake 17 hours can be as impaired as someone with a BAC of 0.05%. Fatigue contributes to a number of known health issues such as heart disease, diabetes, obesity, high blood pressure, and cancer. 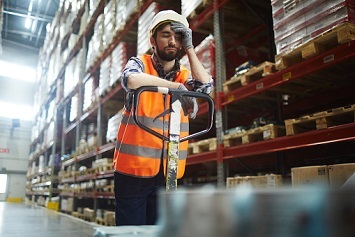 Occupational research has shown that fatigue is four times more likely to contribute to worker impairment than drugs or alcohol and noted as one of the top five causes of worker error. Fatigue is indicated in 13% of all worker injuries and causes approximately one in five vehicle fatalities. A fatigued worker has been shown to be almost three times more likely to cause a workplace incident and 3.6 times more likely to engage in safety-compromising behavior. Yet despite these statistics, many companies do not have fatigue fully implemented into their incident investigation processes. As a result, they are not recognizing when fatigue contributes to an accident, short of the time the worker actually falls asleep at the wheel. Fatigue is also somewhat unique in that unlike working from heights or confined space, it is not a risk that occurs solely within the work environment. Fatigue is impacted by factors in the workplace such as work timing, the type of work, and the work environment, but it is also influenced by factors outside the work environment such as the worker’s overall health, social obligations and commitments, and sleep habits. This two-factor influence means that fatigue management requires a more comprehensive solution. A solution that optimizes operational requirements in relation to fatigue, and one that seeks to engage workers to assist them in understanding how to manage fatigue risks both at work and at home. Training your workers on risks associated with fatigue, and on strategies they can use to better manage fatigue in their work and personal lives, is a proven strategy that can help them navigate these risks. Research conducted by NASA through the Office of Aerospace Medicine shows that high quality training for supervisors and workers is one of the best strategies for reducing fatigue levels, reducing fatigue-related errors, and minimizing the harm caused by those errors. Similar research has shown that effective training on fatigue management techniques can positively impact worker fatigue management for up to 24 months following the training. It makes sense to train workers to better manage the risks they face at work. It is an effective strategy for so many of the risks workers are exposed to, and it only makes sense to train people to better manage risks associated with fatigue. 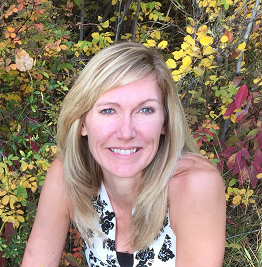 Susan Sawatzky is Director of In-Scope Solutions and an independent consultant specializing in fatigue risk management and psychological health and safety. Join her October 18th, 2018, at 1:30 p.m.–3:00 p.m. Eastern (10:30 a.m.–12:00 p.m. Pacific) for a live webinar, Tired on the Job: Managing the Safety and Health Risks of Fatigue.